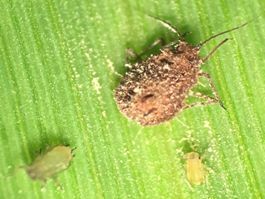 In western Kentucky, wheat aphid monitoring has not detected the presence of this bug so far. This doesn’t mean that aphids are not in fields. They are out there at such low numbers that they cannot be detected through our sampling method. This outcome is different from the high populations recorded in the 2017 winter. The aphid decline might be the result of lower temperatures experienced this winter (versus the winter of 2017), and the continuous rains this year. Figure 1. 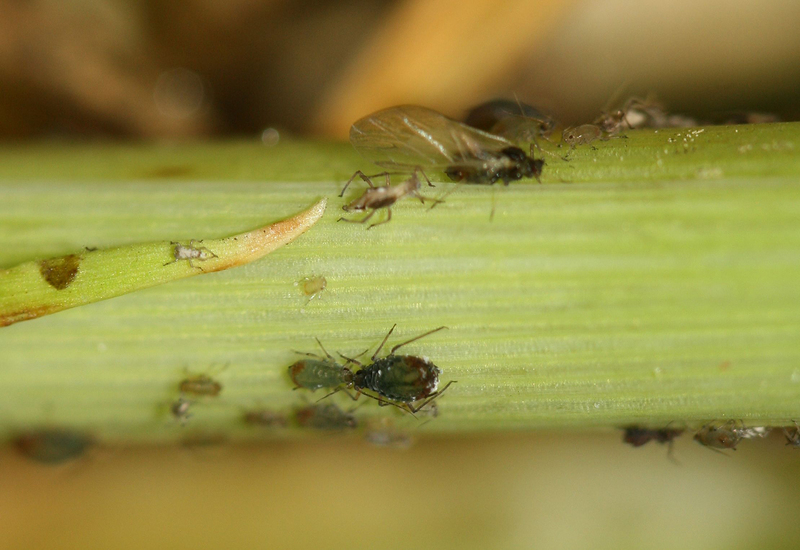 Several stages of bird cherry oat aphids (Photo: Yaziri Gonzales, UK). Figure 2. An adult aphid killed by an unidentified epizootic entomopathogen. This entomopathogen wiped out an aphid outbreak in 2017. (Photo: Yaziri Gonzales, UK).